Good gravy has the power to transform, or even save, a meal. This year, open your mind to a slightly radical idea: make your gravy a few days, or even weeks in advance, simply reheating it in your turkey tray on the big day. Stress, saved. 1. Preheat the oven to 180°C/350°F/gas 4. Peel the onions, wash the carrots, then roughly chop with the celery and bacon. Put the veg, bay leaves, sage, rosemary and star anise into a sturdy high-sided roasting tray, then scatter the chopped bacon on top. Break the chicken wings open, bash with a rolling pin to help release extra flavour as they cook, then add to the tray. Drizzle with oil, season with sea salt and black pepper, toss, then cook for 1 hour, or until tender. 2. Remove the tray from the oven and transfer to a low heat on the hob. Really grind and mash everything with a potato masher, scraping up all the goodness from the base of the tray (the longer you let it fry, the darker your gravy will be). If you want to add sherry or port, now’s the time to do so; just leave it to cook away for a few minutes. Gradually stir in the flour, then pour in 2 litres of boiling kettle water. Simmer for 30 minutes, or until thickened and reduced, stirring occasionally. 3. When the gravy is the consistency of your liking, pour it through a coarse sieve into a large bowl, pushing all the goodness through with the back of a spoon. Taste and season to perfection, cool to room temperature, then pour into containers or bags and pop into the fridge or freezer, ready to finish off on Christmas Day. 4. If frozen, take the gravy out to defrost when your turkey goes into the oven.When the turkey’s perfectly cooked, remove it to a platter to rest for up to 2 hours, covered with a double layer of tin foil and a clean tea towel. Skim away most of the fat from the tray, cool, and place into a jar in the fridge for tasty cooking another day. Pour your Get-ahead gravy into the tray with the rest of the turkey juices. Bring to the boil over the hob and scrape up all those sticky bits from the base. Have a taste, then stir in the Cranberry sauce to balance the flavours. 5. 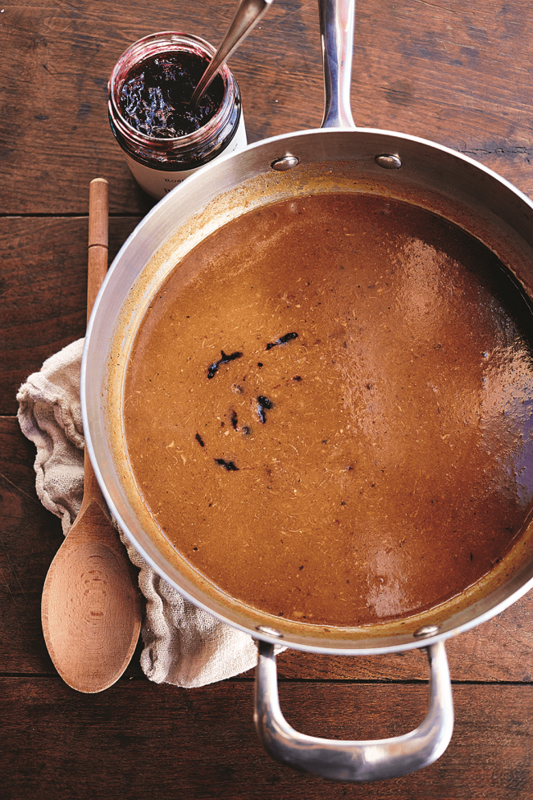 Once your gravy is piping hot, carefully strain through a coarse sieve into a pan, then leave it on the lowest heat until you’re ready to serve. Skim away any fat that rises to the top, and add any extra resting juices from the turkey before serving. This epic book is the ultimate Christmas companion. It’s the culmination of 17 years’ work on Jamie’s part, fine-tuning incredible festive recipes, that you know will work for you at home, every single time. There’s a few of Jamie’s old favourites over the years, as well as loads of brand new exciting ideas to tickle your taste buds – with Jamie at your side, it’s set to be a super-scrumptious Christmas. 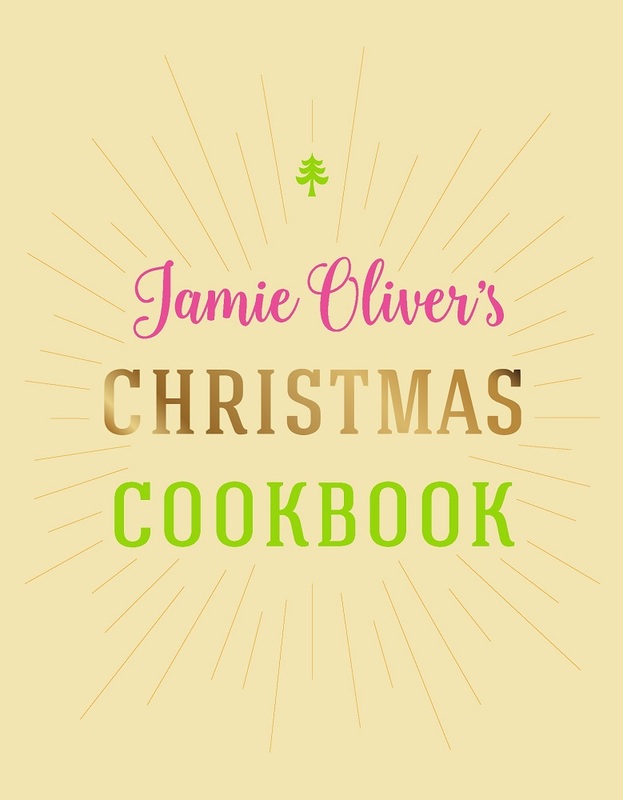 ⓒ Jamie Oliver Enterprises Limited (2016 Jamie Oliver’s Christmas Cookbook). Photographer: David Loftus.